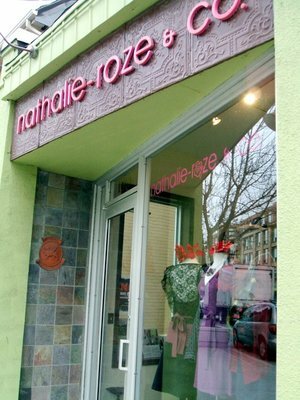 If you’re a Torontonian or planning on visiting Toronto then, you have to pay a visit to Nathalie Roze & Co.. You’re in for a shopping delight. 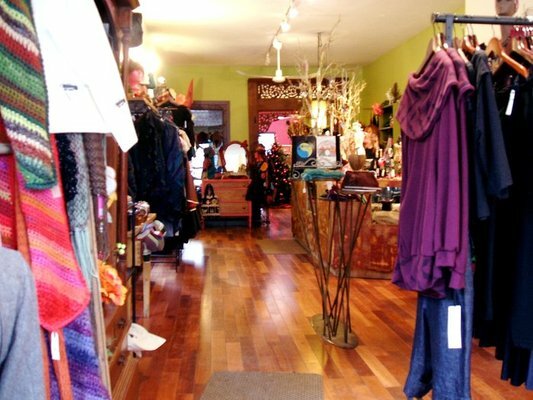 I visited the East End of Toronto recently and found a unique shop that I never knew existed. I only wish that I had found it sooner. It was such a treat to be in this store as every nook and cranny of it, holds something fabulous. 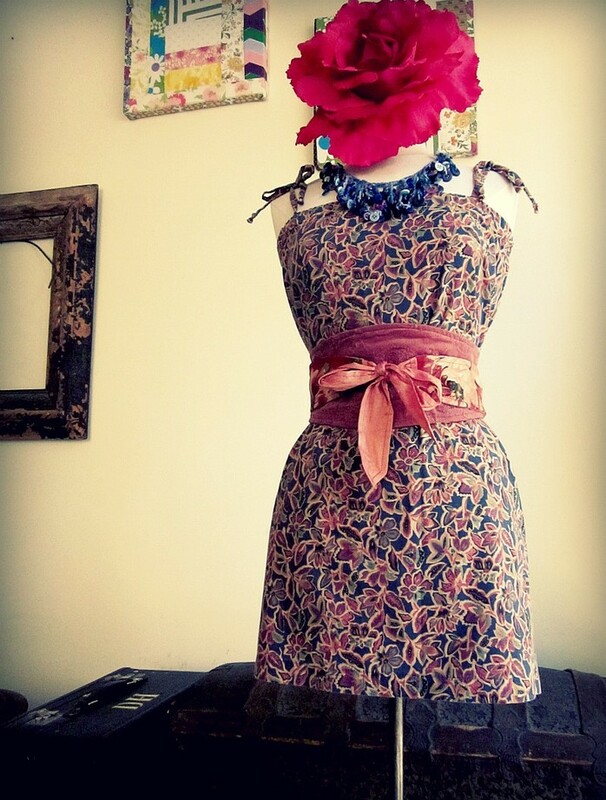 A One-Of-A-Kind, Indie/Artisan store and fabulous shopping experience. Had I blinked, I might have passed it by but, its green exterior walls and signage caught my eye. Parking was no problem so, I pulled over and stopped in. From the moment I entered its doors, I was struck and amazed by the unique displays and items that flooded every inch of the store. There was so much to see that I started at the front door and worked my way to the back. I scarcely knew where to look first. There was just so many delightful and intriguing items that I wanted to look everywhere at once. Nathalie Roze & Co., truly a delight and surprise in every nook and cranny of the store. Filled with Indie Designer and Artisan clothing, jewellery, accessories as well as Re-Creations (recycled items, designed into new fashion and fashion accessories). It was amazing to find out that most of this store’s stock had been created from items that had been re-cycled into something different. Nothing was mass-produced and every piece had a flair that couldn’t be found elsewhere. Hard to believe that this tunic top/dress was created from a pillowcase but, one of the many examples of the uniqueness of Nathalie Roze & Co.’s Indie and Artisan Designs. Everything from the jewellery to purses, hats, baby clothing, maternity to quirky items such as journals created from old vinyl records to greeting cards, handmade and so unique, one couldn’t resist giving as gifts, made me want to keep looking. There was something for everyone in this shop. I picked up several birthday gifts in one store, knowing they were unique and no one else would have the same thing. 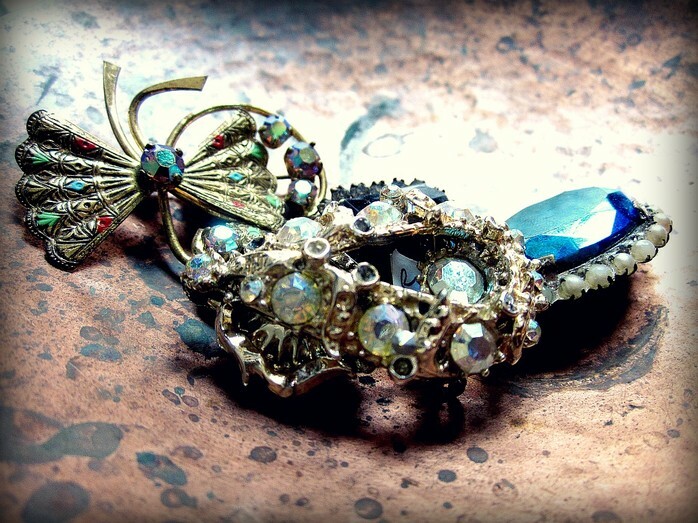 Recycled vintage brooches that can be attached to purses, used as hair clips, or simply a brooch. When I finally did have questions, the sales associate was clearly in view and did answer them fully, leaving me again to go on with my shopping experience but, remaining within eye contact should I need her again. It wasn’t until I was having my purchases rung in that I was told that Nathalie Roze, the store owner, and staff, also do Wardrobe Consulting and have regular DIY workshops for everything from soap to jewellery making and so much more. I’m sure to go back as this is not the type of shopping experience one can only sample once. They’ve always got new items being added to the store as well as upcoming events such as “clothing swaps” and workshops both evenings and weekends. If you’re not in Toronto or won’t be, Nathalie Roze & Co. has begun to expand their lines of both in-house designs and Indie Designer pieces on the net for your shopping pleasure from your own home. You can visit their website by clicking on Nathalie Roze & Co.
Also be sure to follow them on Facebook in order to keep up to date on upcoming specials, events, workshops and much more news.